Presentation: Omnichannel leader or laggard? What's your choice as a fashion retailer? 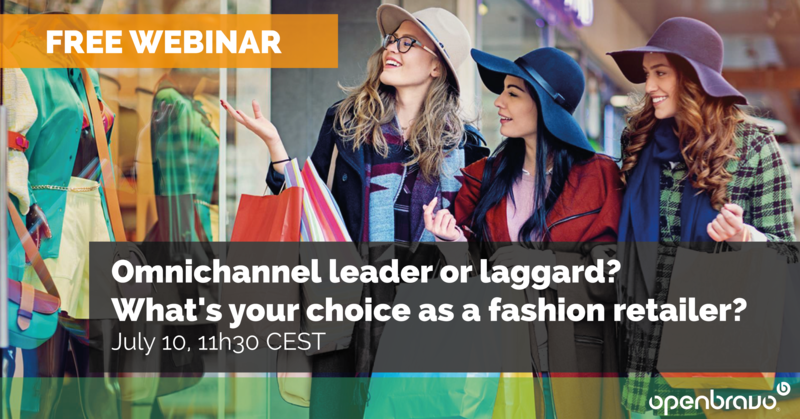 Omnichannel leader or laggard: What's your choice as a fashion retailer? Retailers that want to be leaders in today’s highly competitive fashion sector need to move faster and embrace omnichannel strategies to compete with the online competition. Consumers have an insatiable appetite for new styles and fashion trends that used to last an entire season have reduced to a few weeks. Shorter, more frequent product life cycles and more complex path-to-purchase journeys oblige retailers to become more agile at introducing products and satisfying fast-changing demand. Openbravo Commerce Cloud enables fashion retailers to better face these challenges and so differentiate themselves from the competition. Discover how Openbravo Commerce Cloud lets you truly embrace omnichannel retailing by enabling centralized management of all customers, channels and inventory to deliver on the promise of a seamless shopping experience. The presentation highlights how the features of Openbravo Commerce Cloud are designed to give you greater agility, enabling you to manage more products, introduce them more quickly and optimize inventory across all locations, so reducing mark-downs – a real problem in a fast-moving fashion industry. Finally, the presentation summarizes how Openbravo lets you create a differentiated in-shore experience by improving customer service with mobile POS.